The simplest way to make your lips attractive without using a conventional lipstick is to moisten a Q-tip in water, dip it in JELL-O powder, and then apply on your lips. If you are a vegan, consider using a vegan jelly powder as most jellies contain gelatin. Besides, you can create your own homemade organic lipsticks from all-natural ingredients like beeswax, candelilla wax, vegetable glycerin, coconut oil, cocoa butter, aloe vera, grapefruit seed extract, vitamin E, jojoba oil, castor oil, and so on. Check out this video showing how to make natural lipstick yourself. These lipsticks can be prepared easily at home at a cheap cost. Moreover, it is wise to use organic lips sticks because they do not contain harmful chemicals like lead. Another advantage of using a homemade lipstick or lip gloss is that you can personalize your color. For instance, for getting a purple color, you may use alkanet root. Similarly, to get a yellow color, you may add saffron, turmeric, annatto, etc. Besides, you can use harmless, mica-based coloring pigments. 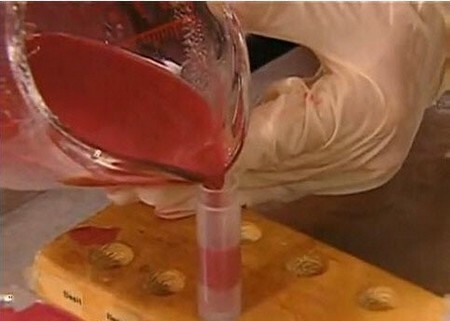 You can find a wonderful and detailed recipe for making natural lipstick at home at soapqueen.com. It is a recipe for sheer lipstick that includes ingredients like beeswax, grapeseed oil, wheatgerm oil, lip safe mica, and zinc oxide (optional). Besides, there are two more posts on the site: Lipstick making – ingredients & melting, and Lipstick Making – Mixing Colors and Testing giving a complete description of the procedure. 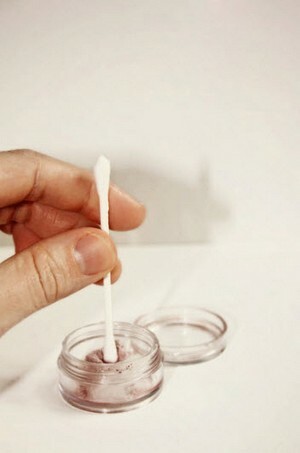 If you want an easier recipe then try homemade lip stain/balm recipe from www.howdoesshe.com. You just need a petroleum jelly and Crystal Light powdered beverage mix for this simple and cost effective lip balm. 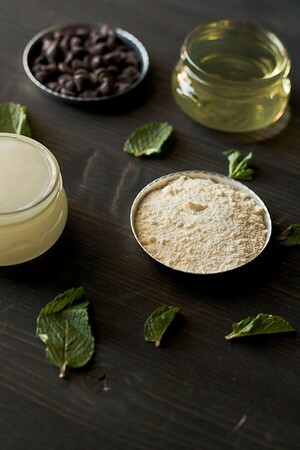 Here’s an interesting recipe for DIY Mint Chocolate Lip Gloss without using chemicals and additives. You can find the recipe at foodpluswords.com. It uses a combination of natural ingredients such as coconut oil, sweet almond oil, vitamin E oil, cocoa butter, peppermint extract, and semi-sweet chocolate chips. These ingredients keep your lips soft and moisturized. Moreover, pure vitamin E works as a natural preservative. Thus, this organic lip gloss can last for about two months. You shall find another simple yet inexpensive lip gloss recipe at www.cheekykitchen.com. The candy-favored lip gloss recipe includes ingredients like paraffin wax, petroleum jelly, coconut oil, candy melts, and oil-based candy flavoring. You can find another homemade organic lipstick recipe at Hard Work Homestead. 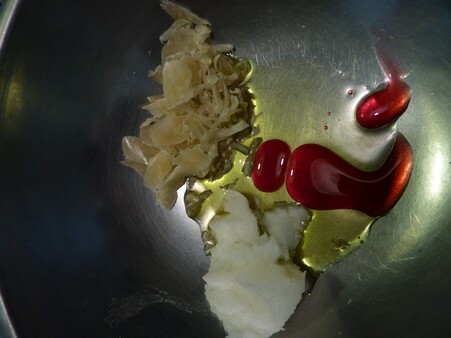 The procedure involves melting grated beeswax and adding coconut oil, jojoba oil, and cranberry juice. The resultant lipstick is a beautiful glossy translucent pink in color. If you are fond of natural tinted lip balms rather than lipsticks, you can try the recipe provided at Wellness Mama. It can be made from natural ingredients such as organic coconut oil, beeswax pastiles, and shea butter/cocoa butter. 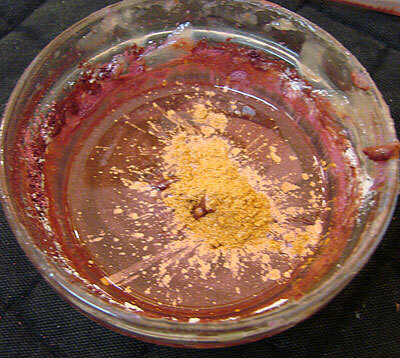 You can add natural red food coloring or beet root powder, too. The site also includes a detailed procedure for preparing natural lipstick (with color variants). At wikiHow, there is a step by step guide to help you make your own lipstick at home using healthy substances like castor oil, jojoba oil, beeswax, candelilla wax, and shea butter. The recipe can be used to get the lipstick in two popular colors- Cinnamon Girl and Bella Rosa. You can also find recipe for homemade lip gloss, here. You can get more tips and information about making your own organic lipstick at Skin Care Recipes and Remedies website. Plus, if you want to experiment with more ingredients, you can get a basic recipe from www.pvsoap.com. Furthermore, those of you who are interested in homemade lipsticks in different shades but are not particularly intent on organic recipes may include chunks of lipstick and shimmery eye shadows in the recipes. For instance, you can find one such recipe at www.deliacreates.com. Wow, I remember making this when we were kids. 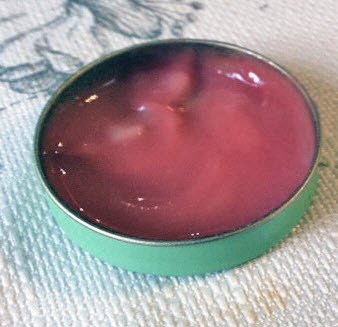 Just using cherry jello mixed with vaseline. Of course, now I would use beeswax or something other than vaseline. i have tried but mine lipstick was not as good as your’s seems .I am gonna try yours method now.